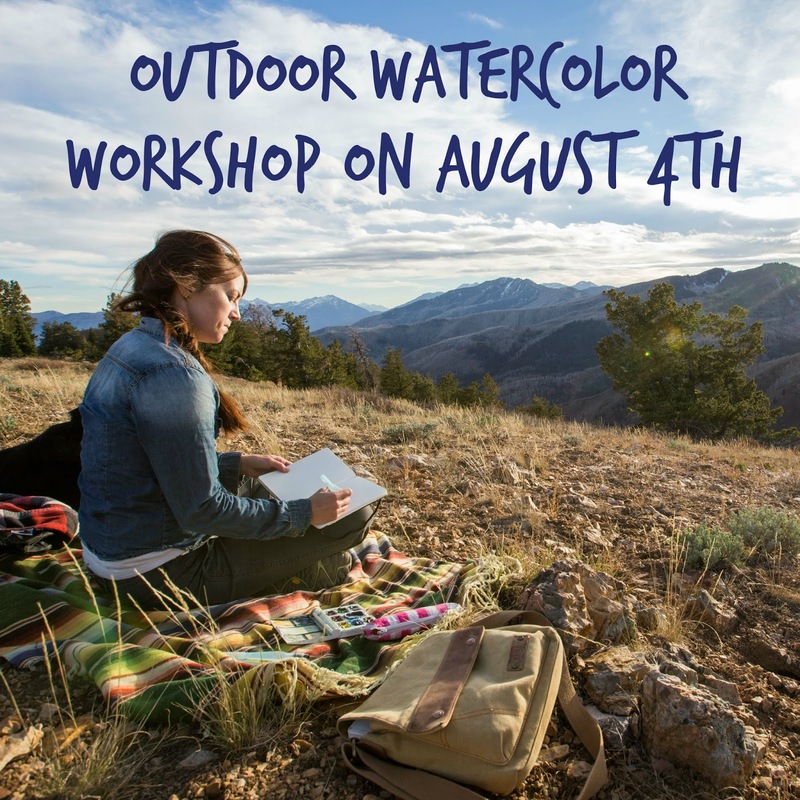 My next watercolor painting workshop is on Saturday, August 4th from 1-6 pm in Park City, Utah. This workshop is for anyone who wants to get outside to enjoy nature, paint "en plein air," learn more about watercolor, or my techniques to capture nature on paper. Read on to find out more about this exciting class and sign up to come learn with me. I hope you can join! Get a FREE waterbrush if you sign up for my class by July 8th! 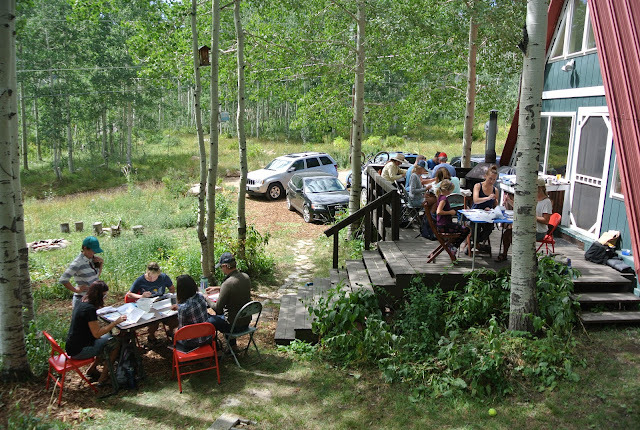 Where: Outside of Park City, UT starting at my studio and we will go for a hike and paint session in Bonanza Flat. I will email directions to participants after they sign up. About the Workshop: The workshop will be a five hour session consisting of a tour of my studio, a couple demonstrations by me, then a moderate hike and plenty of time to paint outdoors. I will share how I use watercolor as a way to document my time outdoors. 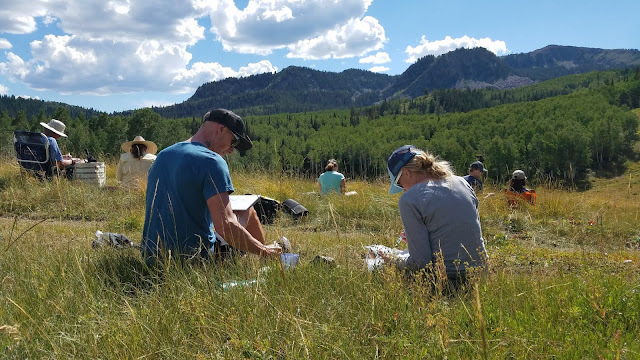 I will demonstrate techniques to quickly sketch and paint outdoors and help you explore ways to create while out in nature. I'll show you all my art supplies and help you find the right tools to get you outdoors and making your own art. If you sign up by Sunday July 8th, I'll give you a free waterbrush, just like I use for all of my outdoor paintings. Price: $125 per person (supplies not included). To sign up, send your payment of $125 via the Venmo app to @bridgettmeinhold. Please include your email address in the comments section so I can email you. 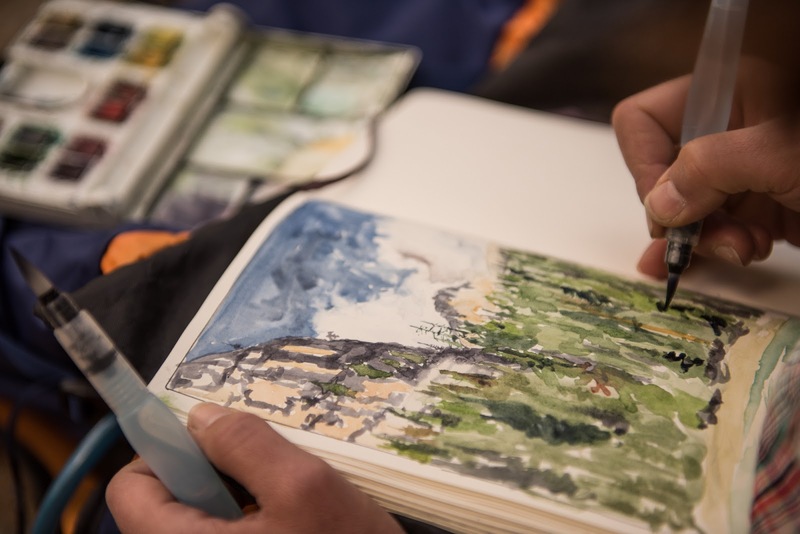 Who Should Attend: This workshop is great for the beginner watercolorist or artist, working artists looking to inject some new inspiration or ideas into their work, watercolorists looking to paint en plein air, or anyone who wants to explore a new way to enjoy nature and have an extra excuse to spend time outdoors. About the Hiking: The purpose of this workshop is to get out and paint outdoors, so we will be hiking a little bit. We won't be scaling mountains or climbing up rocks, but we will be above 8,500 feet in elevation, so in general I ask that people be in reasonable physical condition. We won't go for a very long walk as I want you to have lots of time to paint, but we could walk as much as 2 miles depending on what the group wants and the weather. What to Bring: If you sign up for the workshop I will send out a list of recommended supplies beforehand. I will not be providing art supplies, so please bring your own, but am happy to help you get what you need. 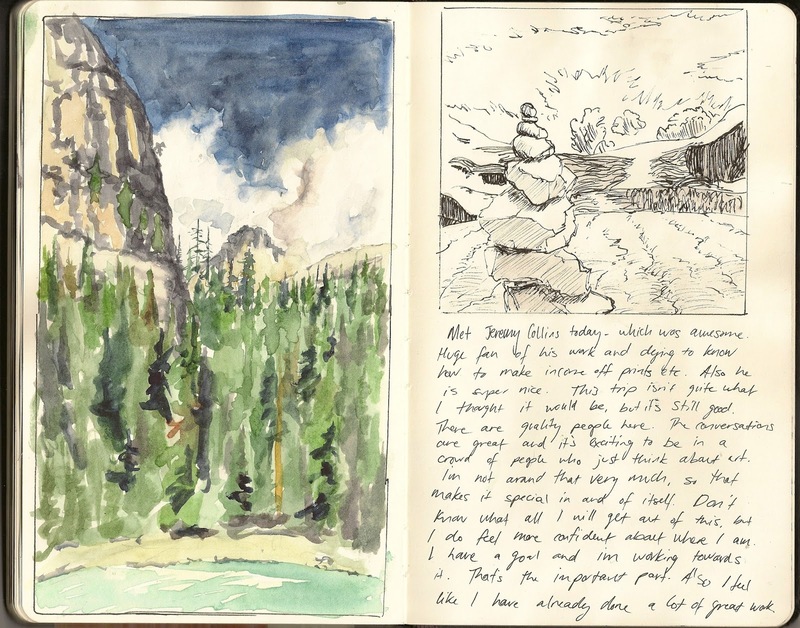 Since we will be walking and painting outside, we want to keep the supplies to a minimum and maximize our time spent creating in nature, not lugging art supplies around in the mountains. For those who sign up, I'll provide suggestions and then you can supplement with your own materials and tools as desired. Bring your camera or your phone to document your process. Otherwise, I ask that everyone eat lunch before the workshop, bring snacks, plenty of water, have sturdy shoes, sunscreen, a sun hat, a rain coat (in case of rain), and a portable stool/camp chair or blanket to sit on while working. I'll provide a more detailed list to those who sign up! Cancelation: If you cancel by Friday July 27th, you can get a full refund. Any time after the 27th, will be a 50% refund. Disclosure: To ensure everyone has a quality time and gets benefit from the workshop, I am limiting this class to 12 participants. We also need a minimum of 3 people to make the class work. Regarding the weather - since the plan is to spend at least half the class outside painting, there is always the chance of rain or bad weather. My theory is that there is no bad weather, just poor choices in clothes, so I plan on going out rain or shine and will do my best not to cancel in the event of inclement weather. We will figure out some way to make it worthwhile. Please include your email address in the comment section so I can contact you.